Please contact us at 201-383-0325 or email us using the form below for more information on booking an event for a Scout troop or class trip! We offer three different birthday party experiences, one for each recommended age group. 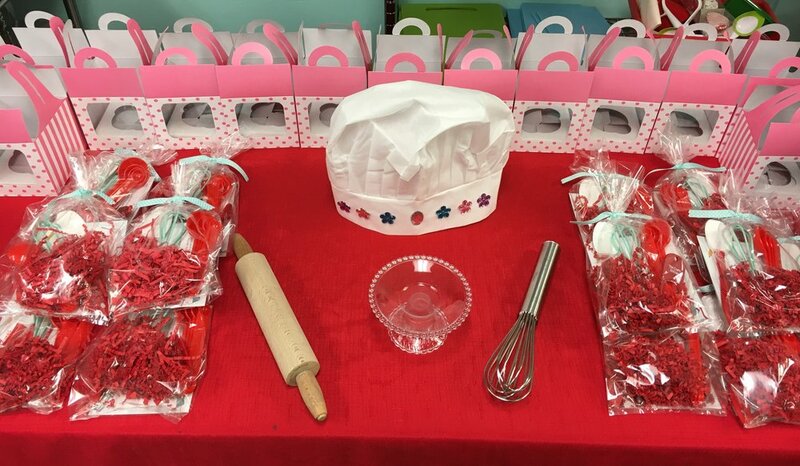 All parties include invitations and thank cards, cooking-themed party favors, a party assistant, and tableware. Please call 201-383-0325 or email us using the form below for more information and to book! Guests will roll out, bake and decorate cookies, make mini pizzas, as well as decorate a fabric apron. Each guest must attend with a favorite adult. Guests will mix, bake and decorate cupcakes, make their own pizzas, as well as decorate a picture frame with various materials. Guests will mix, bake and decorate doughnuts, make their own pizzas, and decorate a ceramic mug (non-food use only). Thank you! We will contact you shortly!! Parties require a non-refundable deposit of 25%, due upon booking. Balance is due the day of the event. Payment can be made in cash or by check, made payable to "The Crafty Kitchen, LLC". Payments made by credit card will be issued a 3% processing fee.